The battle to feed all of humanity is over. In the 1970s the world will undergo famines; hundreds of millions of people are going to starve to death in spite of any crash programs embarked upon now. So predicted Stanford professor Paul Erhlich in his widely influential 1968 book The Population Bomb. It sold more than three million copies but its many predictions of global catastrophe never came true. Most famines in the 70s and 80s were in African countries saddled with Marxist governments or political turmoil. The Population Bomb tried to alert people to the connection of population growth to such events…but society has turned a deaf ear. Meanwhile, a largely prospective disaster has turned into the real thing…. There still may be time to limit the scope of the impending catastrophe, but not much time. In 1968 Erhlich forecast “[I]f…our population growth, and our water use continue, in 1984 the United States will quite literally be drying up.” He also declared “Lake Erie has died…. Lake Michigan will soon follow it in extinction.” In fact, Lake Erie has been reclaimed, and we have not exactly dried up either. In 1980 Julian Simon, an advocate of population growth to fuel economic growth, bet Paul Erhlich $1,000 that prices of five non- renewable metals would go down. For years, Ehrlich and others had been prophesying that the world would soon run out of many metals, halting industrial growth. They claimed that the world’s supplies of oil and gas would soon be exhausted and the West would be subjected to crippling shortages. In 1990 Erhlich quietly paid Simon the $1,000. Not only had the price of all five metals dropped, but the known world reserves has gone up! It is certainly true that homelessness and AIDS are terrible problems, but to blame them on overpopulation in America seems either a display of great ignorance (unlikely, as Erhlich is a Stanford professor) or willful misinformation. Are There Really Too Many People? In the book of Genesis, Adam and Eve were given the command to multiply and fill the earth. In Genesis 9 Noah is given the same charge. We must consider the rest of the creation as we determine if we have yet fulfilled that command. But world population is not the problem. We share the planet with 5.7 billion people. If one could stand all the people in the world, men, women and children two feet apart, how much of the world would they take up? All of Africa? All of North America? New York state? If every person alive today stood two feet apart they would fill less than the area of Dallas County! And there would still be room for all the buildings! If the world’s people were put together into families of four living on 50′ by 100′ lots, they could all live in the state of Texas, with more than seven thousand square miles left over. So the total number of people is not the real problem, at least at this point. One of the statements one hears with depressing regularity in discussions of world population is “If the present rate continues. …” But in fact the “present rate” is almost never continuing. Consider a frequently used figure, the doubling time for a country. This is the time it takes for a nation of 100 million people to reach 200 million. It is also a measure of how fast new food supplies must be found. The faster the doubling time the more urgent the need for agricultural development. In 1968 the world’s doubling time was about every 35 years. This was frequently used as the basis for pronouncements that “if the present rates continue” the world will be faced with mass starvation in some small number of years. But the “present rate” was already declining, and the world now doubles about every 82 years. And more conservative scholars had pointed this out years ago. As the standard of living of a country increases, its doubling time also increases. Thus the developed nations are close to stability now, and as less developed nations become more industrialized their population growth also slows. That is the basis on which many experts predict that the world population will stabilize at about ten to eleven billion people. Malthus’s essay “On the Principle of Population,” has, as he himself said, “a melancholy hue” about it. It was Malthus, with his view that human populations would soon overtake food production, who inspired the labeling of economics as the “dismal science.” But was Malthus right? Malthus assumed that food supplies would always limit population growth. But in the two hundred years since he wrote, this has not been the case. By one means or another farmers and agricultural scientists have always found a way to increase farm production to keep up with population growth. But we have yet to find efficient ways to get food from where it is produced to where it is needed most. One Christian has seriously suggested that old oil tankers, which now sit unused because of the huge world supply of oil, could be put back into service cheaply transporting grain from producers to consumers. The fact that we have 5.7 billion people in the world is not why we have starving people. We have the surplus food to feed all the world’s people. What we do not have are stable governments and economic opportunities that allow people to earn a fair wage for their labor. In his 1968 book The Population Explosion, Paul Erhlich announces the approaching food crisis. “‘Then, in 1965-66 came the first dramatic blow…mankind suffered a shocking defeat in…the war on hunger.’ In 1966, while the population of the world increased by some 70 million people, there was no compensatory increase in food production.” He continues by laying out likely scenarios of the world being rocked by food rebellions that will lead to nuclear war and the devastation of the planet, possibly leaving cockroaches as the most intelligent creatures on earth. Fortunately Erhlich was wrong. Food production continued to increase and more than keep pace with the population. So what did Erhlich learn? Again, thankfully, Erhlich was wrong. By 1990, world grain production was up 50% from 1988! And it has continued to increase to the present. Erhlich’s inaccurate prophecies are numerous. In 1968 he quotes Louis H. Bean approvingly: “My examination of the trend of India’s grain production over the last eighteen years leads me to the conclusion that the present 1967 1968 production…is at a maximum level.” But in seven years India increased its grain production by nearly 26%! By 1992 it had increased it 112%! Famines are the exception in most countries, and even then absolute lack of food is usually not the problem. In a Scientific American article on world population one author says: “Food surpluses exist in many nations, and even when famines do occur the cause is much less the absence of food than its maldistribution which is often accentuated by politics and civil war, as in the Sudan.” This passing comment touches on the real problem. Most famines in the last twenty years are a direct result of internal wars in African nations. Whether in Ethiopia, Sudan, or Somalia, the devastating famines and the hopeless faces of dying children we have all seen on TV are the result of politics. As one segment of the population wars against another, starvation is often a political weapon. And in each of the famine-torn countries of Africa one can show that it has been disrupted distribution more than low food production that has caused people to starve to death. The Bible itself gives evidence that population pressures do not cause famines. When is the first famine in the Bible? In Abraham’s time, when the world population could not have been a problem. There have always been famines, but wise leaders have also known how to prepare for famines, as did Joseph later in Egypt. The earth can provide all the food needed for the foreseeable future. So why are so many saying we must take powerful measures, like widespread abortion, to control world population? One of the driving forces behind much of the population explosion movement is that of environmental concern. People are afraid that the earth is being rapidly ruined, and they are sure that world population is one of the worst problems. Unfortunately there is some truth to this. There are areas in the world where too many people have been squeezed into one place, or where too many animals are grazing the grass to the ground. But these happen because other people do not care to help. The environment is damaged when people must choose between death by starvation and cutting down trees or overgrazing fields. What we need to protest is the way the people are treated, not their existence. Many of the role models put forward by the environmental zealots often have very mixed messages. Paul Erhlich praises Prince Philip of Great Britain for having “taken courageous stands in the population issue and its connection to environmental problems.” But this is the same Prince Philip who, when asked what he would like to be reincarnated as, replied: a “killer virus to lower human population levels.” Certainly a princely thing to say. There are also ecological movements that hate people. The Deep Ecology movement is one such loosely organized movement. Groups like Green Peace, Earth First!, and the Animal Liberation Front tend to see the human race as a cancer on the environment, something to be suspected and tolerated, but only in small numbers. Some want to see no more than 250 million people on earth; others wouldn’t mind if humans died out altogether. These people see any large population as a problem, and are ready to take action to make the earth “right” again. Others have openly said that the AIDS virus is a good thing in that it will eliminate at least some people who are ruining the environment. Often the extreme positions of groups like these make other ecological organizations seem almost conservative by comparison. Much of the time, people accept the argument that the earth is too crowded because that is all they hear. The media are usually not interested in reasoned, factual responses to problems because they lack the shock appeal that gets people to tune in, or read a paper, or buy a magazine. Thus, TV is filled with those who have extreme views, or who can speak eloquently about the latest crisis. So how can Christians make a difference in all of this confusion? First, by actually being involved in caring for the creation God has given us charge of. Too many of us read in our Bibles about how God created the world and cares for it, but fail to act as if it were really true. Let us be actively involved in saving the creation, and then we may earn the right to speak about why we are doing it. Most Christians were slow in protesting abortion; so too many of us have been slow in showing an active concern for the environment. The earth that God created can provide places to live and food for all that God has made. But just as we must take care of our own houses if we want them to last, so too we must take care of the earth God has given us to live in. The plight of starving people in other countries seems to be like many other major world problems so immense and complicated that we feel we can do little or nothing about them. We often feel overcome by the task before we even start. How should we begin? What should we do? One stock statement of the environmental movement is “Think globally, act locally.” As Christians we should change this to “Pray globally, act locally.” Because our God has created the whole world, we, too, are to be concerned and to pray for it. Second, we can also show our concern by how we act in our own communities. And finally, we can give to those organizations that can act as our hands in other places. Prayer is always our most powerful weapon. We need to be praying that God would make us sensitive to the needs of the world. Pray that God will help us be willing to give of what we have in order to help others. Pray that our lives will be an example to others of a real concern for the poor and hungry, just the way Jesus’ own life was. We can also encourage our churches to consider issues like world population and caring for the creation in the larger picture of biblical teaching. Instead of “Earth Day,” why not “Creation Day?” Our churches should teach how stewardship can be lived in daily activities. One good way to be involved is to give to a relief fund that not only feeds the hungry but also helps people develop the skills to farm more efficiently. Many relief organizations are involved in community programs such as improving the local water supply or teaching new crop rotation techniques. Seek out these organizations and give to them. Get alternative sources of information. Best-selling books and TV programs usually follow the most sensational sources of what’s new. Find books that cover world hunger from different perspectives. Look in your local library. 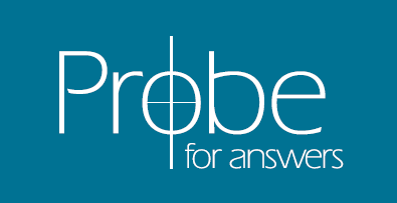 Write to Probe. The problem in the world today is not that there are too many people. The earth can feed many more mouths than it currently does. But we must pray and work for justice to prevail in many of the countries that now suffer famines caused by political wars. More than enough food is produced each year to feed all the people in the world. But we do need to increase the standard of living and develop agricultural resources in a way that does not destroy the land in the process. We need Christians trained in agriculture and resource management. Why not consider a career in agriculture? It would be very difficult to get into Saudi Arabia as a missionary. But if you go as an agricultural consultant or an irrigation specialist you will be greeted with open arms. “Sustainable agriculture” is the need of the future, and if you train in this field you will be able to go to almost any less-developed country in the world. What a great way to be involved in a greater harvest of both food and souls for the kingdom of God. When we look out at the world we must not just see teeming hordes of people but men and women for whom Christ gave His life. And as we consider our responsibility to the world around us we need to remember what the Psalmist said: “The earth is the LORD’s and all it contains” (Ps. 24:1).